Anyway, back to the main topic. What have I been doing? Trying to keep a healthy balance between schoolwork and play (i.e., watching k-dramas). Here’s a summary of what I’ve seen and am currently following. Entering my list of all-time favorite k-dramas (to my surprise) is a little show called Coffee Prince. In the beginning, when news of the drama and the cast were announced, I wasn’t really interested mainly because of the cast. I liked Gong Yoo in the movie She’s On Duty with Kim Sun Ah but the ridiculousness of One Fine Day kinda erase any positive associations I had with him. Regarding Yoon Eun Hye, she was good for a newcomer in Goong; the show was entertaining, sometimes draggy, but overall, I liked it. My point here is that I was indifferent to the main cast so it was one of those “check it out only if it gets praises” kind of shows for me. And now, looking back, I’m grateful that javabeans chose to write summaries for Coffee Prince because it was through her summaries that made me go, “Huh, this sounds interesting. Perhaps, this is something that I might enjoy.” And seventeen “cups” later, I did more than enjoy it; I loved it, from the music and cinematography to the solid acting and chemistry among all cast members. Now that it’s over, I’m gonna really miss looking forward to and checking on dramabeans.com for updates every Monday and Tuesday nights, downloading the episodes whenever I had time, and anticipating the English subtitles. Ah, good times. Currently, I’m watching Bad Couple and so far, I like it a lot. My question, as I watch this drama, is: Where can I find a man like Gi Chan? Where?! More on this later when I finish the show. I also checked out Get Karl, Oh Soo Jung. I watched episode one because I was bored and had nothing better to do. In my opinion, the episode was “bleh.” It had its entertaining moments but those weren’t enough to reel me in. So you might be wondering (or not) why I haven’t talked much about Time Between Dog and Wolf? I saw the first episode a few weeks ago and up until now, that is the only one that I’ve watched because to my surprise, I didn’t really enjoy it and found it to be boring. Maybe having seen just one episode isn’t enough for me to say that I don’t like the series and should stop following it. People have said that it gets better with each episode so I should really watch a couple more episodes and decide then. I mean, it has one of my favorite girls Nam Sang Mi and the cute Lee Jun Ki in it, but why am I still not that interested? I also watched an episode or two of Thank You every now and then. It’s good but I’m not entirely hooked on it. I’ll get around to finishing it when there’s nothing else to watch. There are two shows that I really want to watch, and they are Que Sera Sera and Flowers For My Life. Hopefully, I can get the episodes to download without any technical difficulties. Oh man, this blog entry took a long time for me to write. I’m getting rusty with my writing and spelling skills. They weren’t great to start with but dang, a hour plus to get my thoughts together and come up with this entry is a little too long, which reminds me about why I started blogging last year. One reason was, of course, My Girl but the other reason was because I was writing something and I had forgotten how to spell “backpack.” Along the same line, the other day, I was chatting with a friend of mine online and I misspelled “feeble.” Those are simple words, right? So, I need to write and read more before I forget important concepts like grammar and syntax, you know, the wonderful stuff college English classes are made of. What’s here? My highly anticipated drama Time Between Dog and Wolf. After the uncertainty of which network would air the drama and the changing of airing dates, it finally premiered on July 18th on MBC. At long last! However, with any high expectation, especially because of what happened with Witch Amusement, I’m a little worried that this drama is going to disappoint. Thankfully, though, initial reactions to the first and second episodes are generally good so my excitement is still going strong. I’m going to watch the first episode soon and hopefully, it’s good. Has anyone seen it yet? Do you like it? I’m not feeling well at the moment. I think I got food poisoning or something along those lines. Note to self and those who are reading this: do not consume leftover pizza that is four days old, no matter how “normal” it looked or tasted. I repeat, do not! Trust me on this one. I finally finished watching Save the Last Dance for Me after it has been taking space on my computer for months. I also finished The Snow Queen. So that’s a total of 36 hours of my life, mostly wasted on nothing more than eye candies. Surprisingly, I liked the former more than the latter even though it doesn’t have Hyun Bin. I’m not that shallow, you know. I can be objective too, sometimes. I’m also done with Hwang Jin Yi and I loved it! One of the best dramas I’ve seen to date. I’ve been wanting to write a review of sort for the drama but it’s quite difficult coming up with right wording and organizing all my thoughts into one that’s coherent and detailed. I’ll try and see if I can get one together because I really want to get the word out on how great this show is. Highly recommended! The premiere for Witch Amusement will be pushed back as Surgeon Bong Dal Hee will be extended to 18 episodes due to its high ratings. I also read that the airing date for Time Between Dog and Wolf will be further delayed until September. Aish, really. Let this be the official date. Please, no more delays! Thanks to this blog, my respect for Hollywood has changed dramatically. Not that Hollywood cares about what a little person like me thinks about them, but I’m writing this as a kind of “just so you know..” type thing. I’m probably going to do episodic summaries and/or screencaps of Hello!Miss because this blog is, after all, “mukgu-fied.” March 19th is the premiere. It’s next Monday! Woot woot! Hopefully the airing station is decided soon, so that this drama won’t be pushed back and will aired as scheduled in March. It’s confirmed that Time Between Dog and Wolf will be aired in June/July instead of March. Lee Jun Ki (24) and Nam Sang Mi are selected to lead the drama Time between Dog and Wolf scheduled to be aired on MBC in July of 2007. The production company of the drama “Phantom Entertainment” announces on 11/29 that LJK is selected to lead this action drama portraying two men having close relationship become rivals under seemingly impossible circumstances. The main characters belong to the special investigation unit against an international narcotic drug crime organization, and they infiltrate into the criminal organization by disguised identities. Currently, the production company is negotiating with the broadcasting TV station. The filming is scheduled to start early next year at Hong Kong and Macau. LJK plays a courageous and energetic man who revenges on a criminal group. NSM plsys the role Suh Ji Woo. Ji Woo met LJG’s role during childhood and then fell in love with him. Due to a sudden accident, they had to separate. They meet each other again when they are working as secret agents disguised as museum curators. However, they separate once again because LJK’s role wants to revenge on his parents’ enemies. 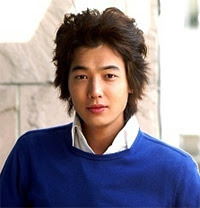 LJK’s previous drama was My Girl (SBS, 2005) and NSM’s latest drama was Sweet Spy (MBC, 2005). Note: NSM’s lastest drama was actually SBS’s Bad Family, not Sweet Spy. Jung Kyung Ho will costar with Lee Jun Ki in the drama Time between Dog and Wolf scheduled to be aired by KBS2 in March of 2007. The main characters belong to the special investigation unit against an international narcotic drug crime organization. 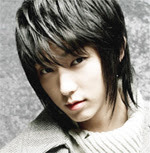 JKH plays the policeman Kang Min Gi who forms triangle relationship with Lee Joon Gi and Nam Sang Mi’s roles. The two main male characters also have a fatal confrontation. The representative of JKH’s agency “Sidus HQ” states, “The production team considers that JKH could present both bright and dark side of the tough character Kang Min Gi very well.” JKH’s movie Gangster High was debuted recently. His new movies include Herb and Inside Starlight costarring with Kang Hye Jung and Cha Soo Yun respectively. Rounding out the four is Lee So Won. doozy: Lee Jun Ki and Nam Sang Mi together in one drama?! Woot woot! Plus, the plot outline sounds interesting. I’m very excited here.